A new study confirms that acupuncture’s medical benefits are acupuncture point specific for its effective actions on the stomach, intestines and heart. Researchers discovered that needling acupuncture point CV12 increases HRV, heart rate variability, an important ability of the human heart to vary its rate in reaction to bodily demands. Needling CV12 did not affect electrogastrogram signals, a measure of electric signals in the stomach and intestines. 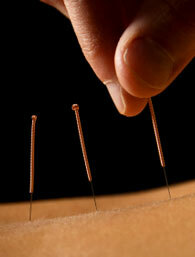 The converse is true of needling acupuncture point UB32. Applying an acupuncture needle to this point affects electrogastrogram readings but does not affect HRV. This is the latest in a series of investigations proving that specific acupuncture points have specific effects. In a related MRI acupuncture study, investigators note that acupuncture “induce(s) different cerebral glucose metabolism changes in pain-related brain regions and reduce(s) intensity of pain” for patients with migraines. PET-CT neuroimaging (positron emission tomography – computed tomography) revealed that the choice of acupuncture points used determines exact changes in brain glycometabolism in specific regions of the brain. It’s great to see acupuncture being brought into mainstream scientific consideration in recent years! I know firsthand the powerful healing effects it can have and I only hope that someday, with the right scientific studies such as this, it will find mainstream acceptance in the general public.